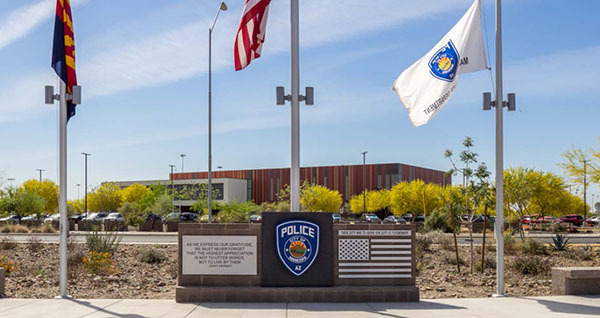 After more than two years of fund-raising, a memorial monument is about to be unveiled at the Maricopa Police Substation at Copper Sky. The fallen officer memorial dedication is May 14 at 7 a.m. at 17985 N. Greythorn Drive. MPD and the Maricopa Police Foundation are inviting the community to attend. The Foundation started selling memorial bricks in 2016 for $100-$350 to help fund the monument. The memorial area can hold up to 6,000 paver bricks.